National Cherry Turnover Day in the United States is celebrated on the 28th of August. National Cherry Turnover Day is an unofficial food holiday that is observed all around the United States. This day is in honor of the delicious puff pastry that can be enjoyed as a dessert, breakfast, or as a pick me up snack. Cherry turnovers have been around for centuries and are also called portable pies because of their size and how they are made. Cherry turnovers typically call for puff pastry dough. Puff pastry is a specialized pastry dough that is light and flaky. This is due to the extra fat that is added into the dough to help give it a light and fluffy texture once baked. The puff pastry is rolled out and the cherry filling is spread on the dough. You can spread just natural cherry filling or you can choose to improvise and create your own. Then the dough is folded, the seams pinched together to form a sealed pouch. This action allows all the cherry filling to stay inside the dough while baking. Normally, cherry turnovers are baked, but in some cases they are fried. Depending on the recipe, other ingredients such as lemon juice and cream cheese may be added to help improve the taste and texture of the cherry turnover. Cherry turnovers can be eaten alone or they can be eaten alongside a generous scoop of ice cream. Cherries are known as stone fruits or drupes. They are related to nectarines, peaches, and plums. Cherries can be tart or sweet and that difference can be tasted in the cherry turnovers. These little red fruit were originally brought the North America by the English back in the 1600’s. Currently, there are over 1,000 different varieties of cherries in the United States and they all make excellent cherry filling. Cherries have been shown to naturally improve your health and have been used in many popular diet trends. Like most desserts, the cherry turnover is French in origin. They were derived from more savory meat pies and then developed into simple desserts that workers could easily carry with them. Cherry turnovers are delicious when served hot and scrumptious when served cold. Today, cherry turnovers can be found in almost every store because they are mass produced through many popular dessert brands. The best way to honor National Cherry Turnover Day is to indulge in a delicious cherry turnover. They are widely marketed and available at affordable prices. Cherry turnovers are also one of the least complicated desserts to construct and many beginning bakers can accomplish the task. The ingredients to make your own cherry turnover can be found at your local grocery store and many recipes are available to help novice bakers learn how to perfect their own cherry turnovers. 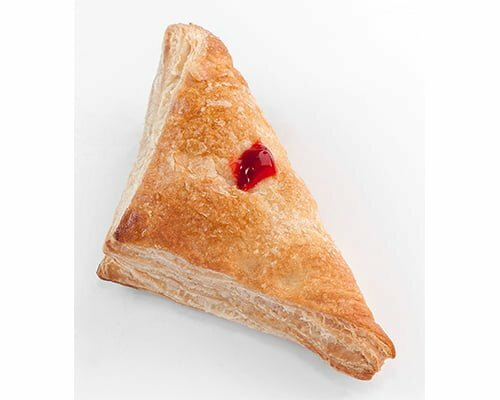 Regardless of how you do it, the best way to celebrate National Cherry Turnover Day is by taking a bite into the delicious cherry filled puff pastry dessert.